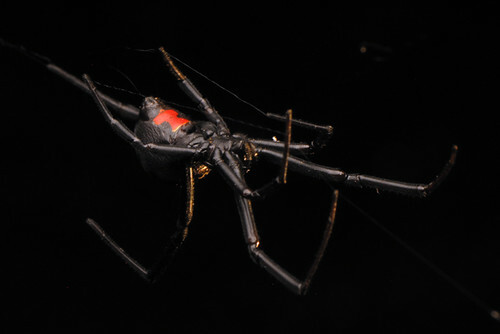 The conference started off with a fantastic workshop: insect macrophotography with none other than Alex Wild! As a BugShot alumnus twice over, I was mostly there as a helper bee, but I managed to find a few moments to sneak in a couple of shots of my own. I mean, how could I resist this subject? Seriously, is that not one wild outfit? The Harris’ Three-Spot caterpillar is a crazy-looking critter. What I first mistook for a discoloured leaf, closer inspection revealed to be a caterpillar. Then I thought it was a diseased caterpillar, though, because its shape was all gnarly and twisted and it had a weird white band around the middle (which I mistook for a fuzzy fungus). But then I poked it (I can’t help myself) and realized that it was NOT diseased; rather, it was quite healthy and also TREMENDOUSLY COOL (though possibly the ugliest caterpillar I’ve ever seen). Yes, folks, we have another poop-mimic! 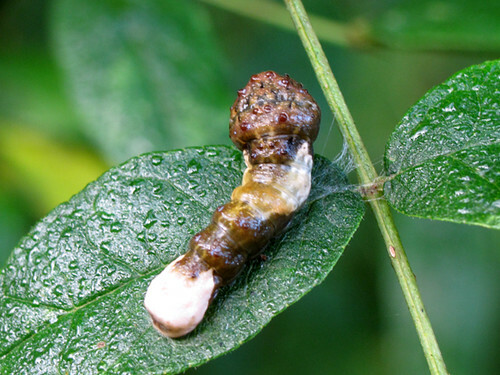 Not only is it a poop-mimic, but it is also a poop-mimic that carries around its own molted head capsules! What is this for? What does it do? Presumably it offers some kind of defense – a decoy, perhaps? We don’t know, really. But we do know they can get a little carried away with this stunt at times. OH! And also, when you poke it, it does a crazy twist-n-shout kind of wobbly smacking-thrashing that is something to behold. Mine never cooperated when I had the camera rolling, but The Weird Bug Lady (over at Caterpillar Blog) managed to catch one in the act. Sometimes poop happens if you’re persistent. In my last post (thanks, by the way, for welcoming me back into the fold so warmly), I mentioned that I’d spotted a particular butterfly. I was very, very, excited to see this butterfly. You see, I’d been trying to find one of these butterflies for over three years. Back in March of 2010, I wrote about my encounter with a very evil plant adorned with sharp, woody spines: prickly-ash (Xanthoxylum americanum). It was mostly a complainy post because the plant shredded my dog and made me a little buttsore (literally). 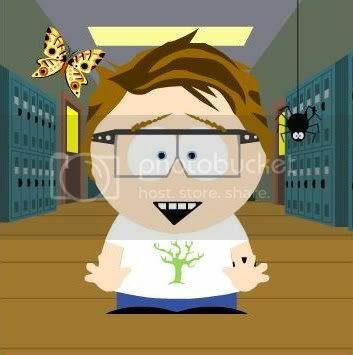 However, Steve Wilson of Blue Jay Barrens mentioned in the comments that prickly-ash is a common host of North America’s largest butterfly, the Giant Swallowtail (Papilio cresphontes). I did some research and learned that I might just be within the butterfly’s typical geographic range. I’ve been keeping an eye out for that butterfly ever since. (Seriously, I can’t pass a prickly-ash without looking for one). Well, on that lovely day last week (when I was having all kinds of feels about nature while out with my dogs) my walk came to a screeching halt when I noticed a large black swallowtail butterfly lazily flapping around a patch of prickly-ash in the tree line just to the left of the road. Now, I wish I’d been able to get a video of this thing, because it moved unlike any butterfly I’d ever seen. Its wingbeats seemed very slow; languid, really. * I wondered how on earth it was keeping its huge body afloat, and nearly in place, to boot. It held itself vertically as it stopped to inspect various leaves and branches, much in the same posture as a hummingbird that has momentarily stopped drinking at a feeder to hover inches from the nectar before darting down to feed again. I tiptoed in closer – it didn’t seem bothered in the slightest by my presence. I held my breath as I watched, wondering if…would it? It DID! 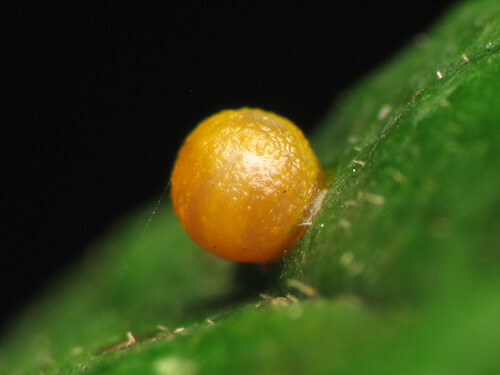 She finally found a suitable spot and delicately touched the tip of her curled-under abdomen on a leaf about a foot and a half off the ground, leaving behind a single, round, orange egg. I came home and chattered to my wife excitedly about my long-desired observation. Then I did some Googling and learned that the caterpillar of the Giant Swallowtail is an exceptional mimic. 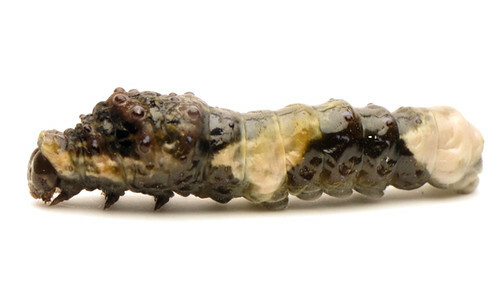 Like many other caterpillars, P. cresphontes is exceptionally good at looking like something highly unpalatable: poop. Bird poop, to be precise. How wonderful! Satisfied, I stepped back onto the road and took in a broader view of the shrub. And saw bird poop on a few leaves. Proof that there is actually a caterpillar under there. These osmeteria are hidden away within the thoracic segment behind the head. 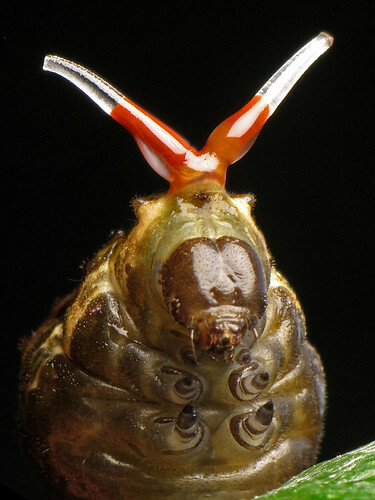 When threatened, the caterpillar everts them rapidly, simultaneously releasing a defensive chemical. I couldn’t help but be reminded of this comic by the brilliant Rosemary Mosco. The caterpillar’s osmeteria were not very scary. A teensy bit startling perhaps, but honestly, they look like shiny, skinny candy canes. I noticed the chemical secretion – it had an odour, and not an unpleasant one. I recall it being something a little sweet/spicy. Kind of nice, actually. Maybe it’s revolting if you’re a pecking bird? *I looked around on YouTube for a good video of this species – there are several – but what struck me was how fast seemed to fly in each of the clips. This was not what I saw at all. I have two explanations: 1) it was quite chilly that morning (like, I was wishing I had a toque and gloves kind of chilly), which slowed its motions, or 2) this was an example of one of those trippy moments where time seems to slow down.